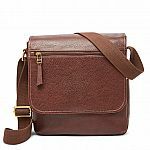 Macys has 60-75% Off Handbag Flash Sale with code "FLASH". 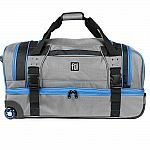 Shipping is free with $75 purchase. 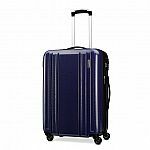 Amazon has same price every day for those luggage, not a deal at all. Amazon is price matching. But agreed that this does not seem like a great deal. Not a lot of good reviews. 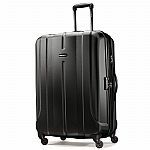 //@Anonymous: Amazon has same price every day for those luggage, not a deal at all. 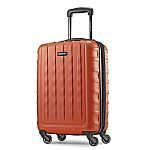 Amazon has Samsonite Luggage on sale. 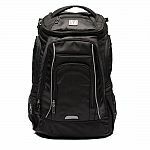 Shipping is free with prime or with $25 purchase. 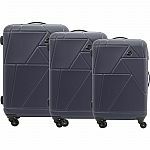 BuyDig has American Tourister Fieldbrook XLT 3 Piece Set for $49 with code "BROOKS". Shipping is free. 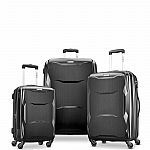 BuyDig has Samsonite StackIt Plus 2 Piece Stackable 1680D Luggage Spinner Set (20" & 25") Black or Plumfor $99 w/code "1680D". Shipping is free. BuyDig. Updated, thanks! //@anonymous: Newegg or Buydig? 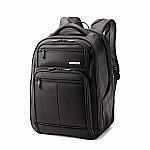 Samsonite has Extra 50% Off Select Business Bags. Shipping is free. 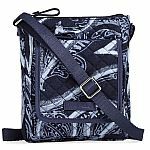 Fossil has 50% Off Select Bags. Shipping is free. 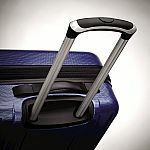 Samsonite has new promotion. Shipping is free. 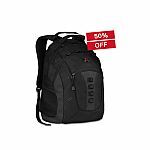 Extra 50% Off Weekly Special w/ code "STEAL" + Extra 20% off w/ "EXTRA20"
30% - 50% Off Select Clearance w/ code "SAVE" + Extra 20% off w/ "EXTRA20"
Carbon 2? 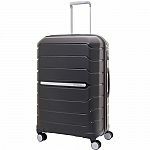 One or two luggage? Thanks, updated. //@anonymous: One luggage. 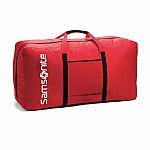 Order got cancelled by Samsonite. //@anonymous: Got one, thanks! 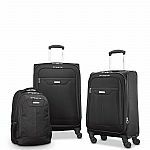 Samsonite via eBay has Extra 15% Off Select Luggage, Backpacks & accessories (Discount shown in-cart). Shipping is free. 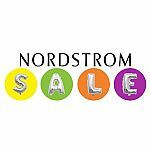 Nordstrom has up to 60% off spring sale. Shipping is free. 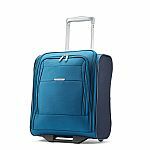 Samsonite eBay has it for $46.99 - 15% in cart = $39.94. kate spade has Wellesley Small Camryn for $89. Shipping is free on $99+. kate spade has Wilson Road Small Bradley for $89. Shipping is free. kate spade has jackson street kristine tote for $149 with code "perfect". Shipping is free. We seem to be experiencing site issues. Please feel free to contact us if you require immediate assistance. 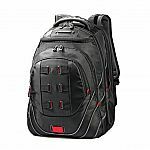 BuyDig has Select SwissGear Backpacks on Sale. Shipping is free. They cancelled my order and use the excuse that my credit card was declined. When I called the 800 number the billing rep was very rude, making puffing noises with every question. BAD CUSTOMER SERVICE! 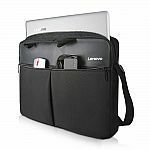 Why do want this ugly bag anyway //@Anonymous: They cancelled my order and use the excuse that my credit card was declined. When I called the 800 number the billing rep was very rude, making puffing noises with every question. BAD CUSTOMER SERVICE! 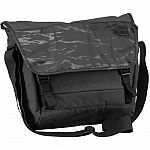 BHPhotoVideo has Incase Designs Corp Compass Messenger Bag, in various colors for $14.95. Shipping is free. 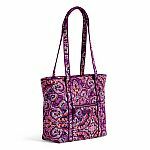 Skip Hop has select diaper bags, baby items for extra 40% off (final prices are as marked). Shipping is free on orders $35+. (Price Error?) 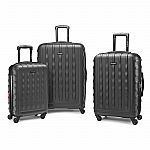 Samsonite has Samsonite Carbon 2 Spinners on sale with promo codes: "STEAL" (50% off) + "EXTRA20" (extra 20% off). Shipping is free. Looks like their system shows 50% off, and applying coding "steal" takes another 50% off. //@Anonymous: Invalid price! Website is kinda slow. Managed to buy two 28 inch ones. Haven't received any email for confirmation or cancelation. Same. Payment pending though //@anonymous: Website is kinda slow. Managed to buy two 28 inch ones. Haven't received any email for confirmation or cancelation. 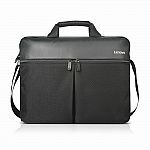 bought two and confirmed, great deal, they used to be over $80 for 28" //@Anonymous: Website is kinda slow. Managed to buy two 28 inch ones. Haven't received any email for confirmation or cancelation. Seems to have some cache issue with chrome. I switched to Firefox to finish the checkout. Seen the same invalid price error. There may be other ways to get it to work, but at least limiting the amount for a single product/color to 1 worked for me. //@Anonymous: Invalid price! Use quick view to checkout works out best for me. OOS I guess. Cannot check out. //@Anonymous: Looks like their system shows 50% off, and applying coding "steal" takes another 50% off. //@Anonymous: Invalid price! order cancelled. how to file bbb? order cancelled. total bs and waste of time/effort. 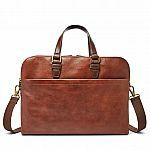 Neiman Marcus has $50 off $200+ regular-price purchase (Handbags, shoes, apparels and more) with code "INC50". Does not apply to Beauty or Fragrance purchases . Shipping is free. 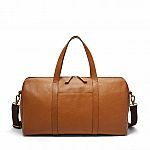 (Back with lower price) Macys has Marc New York Carry A Ton Duffel for $7.49 with code "VIP". Shipping is free on orders $48+ or free in-store pickup. Michael Kors has Extra 25% Off with code "SPRING". Shipping is free with KorsVip (free to join). 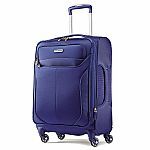 Amazon.com has AmazonBasics Pyramid Luggage Spinner with TSA Lock, 20-Inch Carry-On for $31.47. Shipping is free. 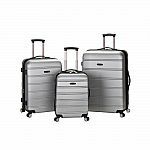 Bloomingdales has Extra 25% off on Sale Styles. Discount applies in cart. Exclusions apply. Shipping is free with Loyallist (free join). kate spade has Extra 30% Off Everything with code "ONEBIGFAMILY". Exclusions apply. Shipping is free. 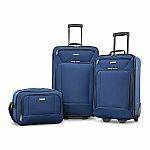 Samsonite has up to 66% off with code "YOURCHOICE". Shipping is free. kate spade has kate spade Sam Nylon Satchel and Cosmetic Bag for $129 with code "PERFECT". Shipping is free. 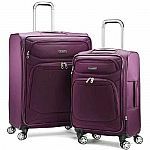 Amazon has Samsonite Centric Expandable Hardside Spinner Luggage on Sale. Shipping is free. 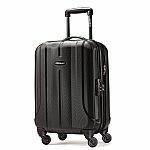 Samsonite has Flash Sale: Up to 50% Off Sale + Extra 24% Off $100 with code "SAVE" and "FLASH". Shipping is free. kate spade has Laurel Way Mini Reiley for $75. Shipping is free. 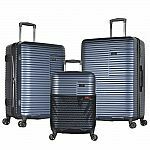 Samsonite via eBay has Extra 15% Off Select Luggage, Backpacks & accessories (Discount shown in-cart) + Extra 15% Off (Today Only Via eBay App). Shipping is free. 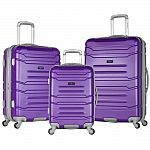 Make your purchase and use code "PSAVETODAY"
Thank for the deal while I am looking for one set of Samsonite. Wrong price? I don't see how 15% off would make it to $72.50! It comes out to be $170. $100 - 15% (discount applied in-cart) - 15% via eBay App = $72.25 //@Anonymous: Wrong price? I don't see how 15% off would make it to $72.50! It comes out to be $170. 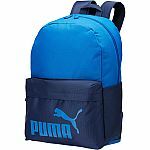 PUMA has select backpack on sale. Shipping is free. 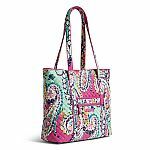 Vera Bradley has Up to 30% Off New Markdowns. Shipping is free. kate spade has Cameron Street Small Hayden Satchel for $129 with code "PERFECT". Shipping is free. 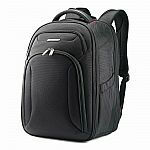 Dell has select backpacks on sale. Shipping is free. This item has very bad rating on Amazon, so, double check before you buy it. 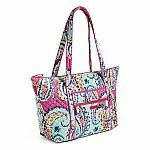 (New Styles Added) Tory Burch has Up to 70% Off Private Sale. Price as marked. Llimited quantities. Shipping is free. Offer ends 3/5. 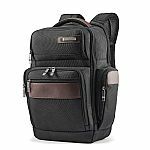 Nordstrom has Mens Backpack on sale up to 80% off. Shipping is free with $100 purchase. Farfetch has Saint Laurent (YSL) Handbags from $947. 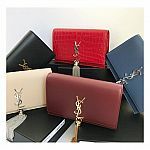 Better price than YSL.com. 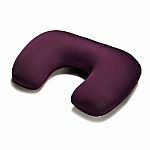 Plus extra 10% off with new customer via code "DFF10". 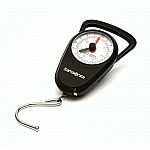 Shipping is free or shipping from$10 depends on item location. Add items in cart to see shipping cost. 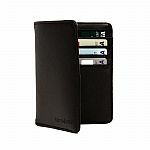 $1000 for a wallet? I'd spend $1000 dollars on a computer, tires for my car, a plane ticket to travel, spend a day at Disneyland with my family, but not for a wallet. but what if I already have money for computer, tires, travel, Disneyland? Then to re-allocate your money for computer, tires, travel and Disneyland to buy more wallets. Unfortunately your order does not qualify for this promotion. Then you should not be on dealsea ;-) //@anonymous: but what if I already have money for computer, tires, travel, Disneyland? 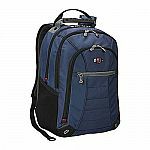 Home Depot has select Ful backpacks and duffel bags on sale. Shipping is Free.